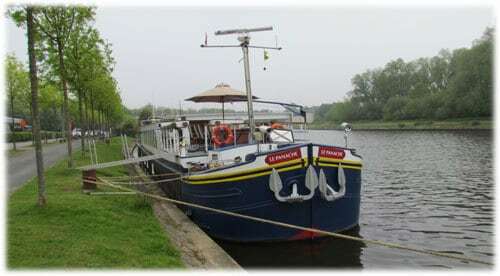 24th May 2012 – In the afternoon we moved the Hornblower of its mooring to the neighbour. The little yacht followed in the evening. The Watergeus is now free to move around. 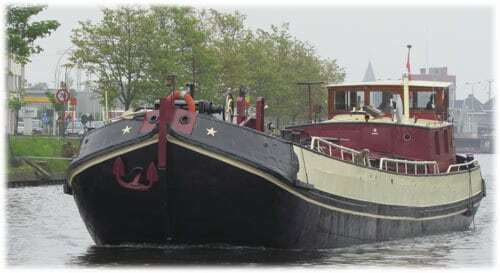 19th May 2012 – Next week, I’m leaving with the Watergeus to the yard. It has been a while since her last dry-docking. Most of the things have been prepared the last couple of weeks. A yard visit takes a lot of preparations and money! I still need to do the fuel and then I’m ready! In the afternoon, I went to see a yacht for a friend at the yard. He wanted some advice and in the end he decided to buy it. 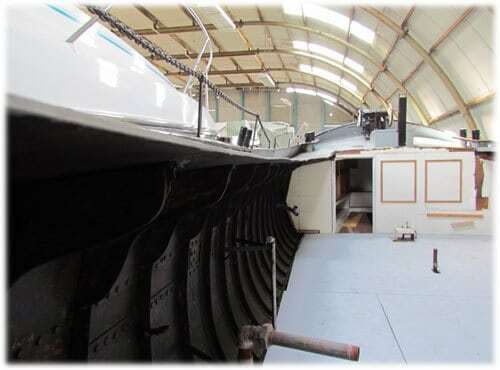 It gives me a good feeling when you know when a boat fits the profile of the buyer! The seller had a nice tjalk, also for sale. I had a look at it. From the moment I saw this ship, I started making plans. Only I don’t have the time to do this project. 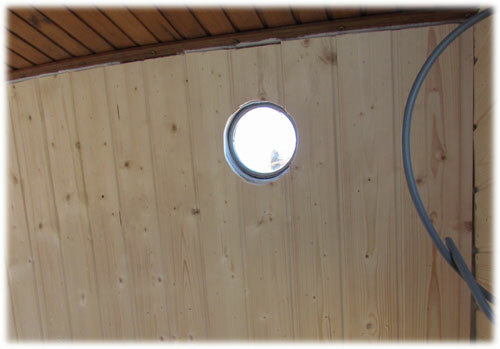 12th May 2012 – The bedroom is divided from the wheelhouse. Since I want the ship to has it strengths again for when another ship would more alongside, I’m extending a part of the bulkhead to the ceiling of the bedroom. A second reason for this metal part of the boat is that it can now carry some floating cabinets for my clothes and other stuff. 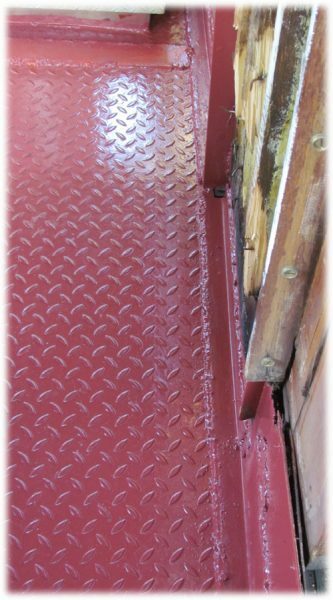 While welding the plate, some sparks must have touched dust in the engine room. 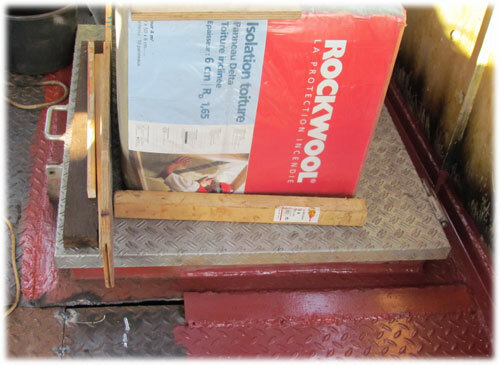 The bilges were on fire in no time. Gray and black smoke started appearing out of the boat. I had nothing else but some buckets of water to kill the fire. It is certainly not recommended pouring water on oil, but it helped. The damage is reasonable seen to the flames that appeared. A few pipes of the engine melted and everything is in black smoke. 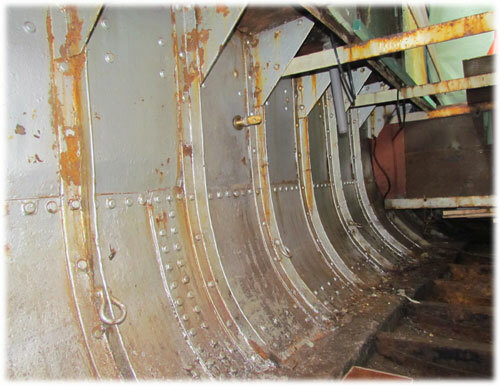 It will take some time to clean the engine room. It could have been much worse! In the afternoon I gave up welding and cutting. I did some wood work for a while till I had enough of it for the day! 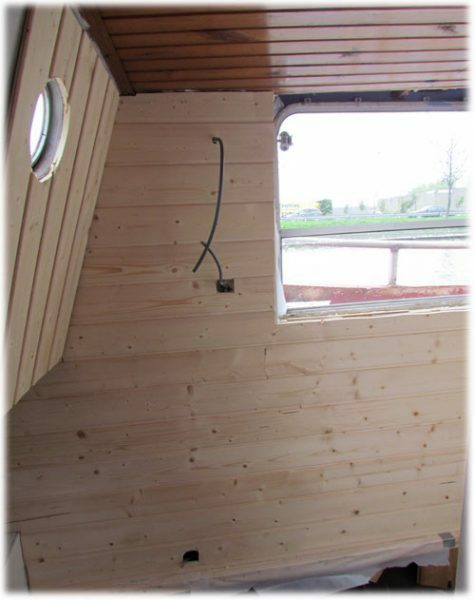 11th May 2012 – I prepared most of the thing so I can finish the floor in the wheelhouse tomorrow. 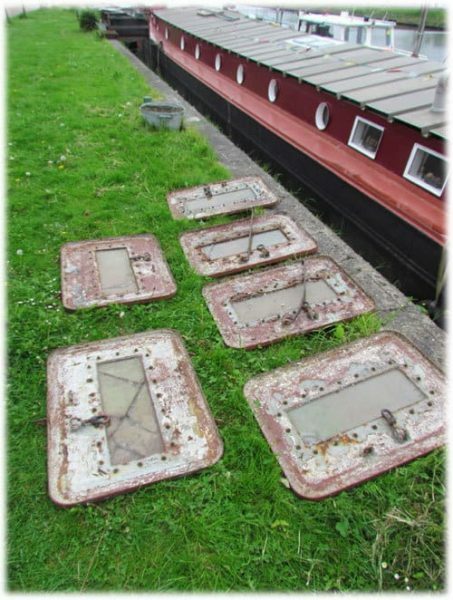 8th May 2012 – The plates in the floor of the wheelhouse are welded. I now need to cut the remaining pieces and put them in. Since the weather is terrible, I’ll have to wait to cut the sheets in the right size. 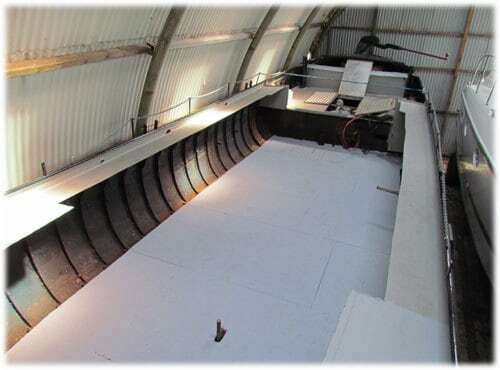 6th May 2012 – I’ve painted one side of the engine room with a white primer. They told me it is a good paint, the smell made me really sick! I had to empty the old fuel tank and got some diesel in my moth while trying to fill a hose. Working on a boat is not always pretty! With some help of my neighbour we lowered the fuel tanks in the engine room. Since they didn’t fit, I had to cut one support of the wheelhouse floor. 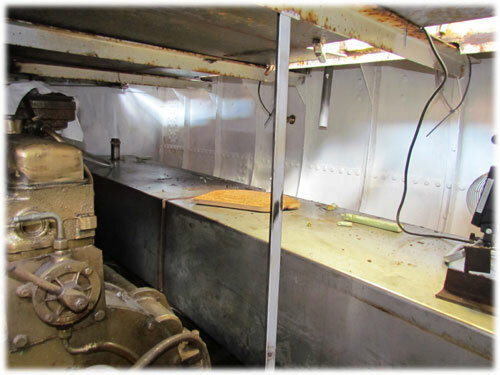 The engine room is 3,10m long, the fuel tanks are 1,50m each. Not much room left, but they are the maximum I could get in! I know have around 800 liters of fuel storage for the engine. This should take me somewhere! 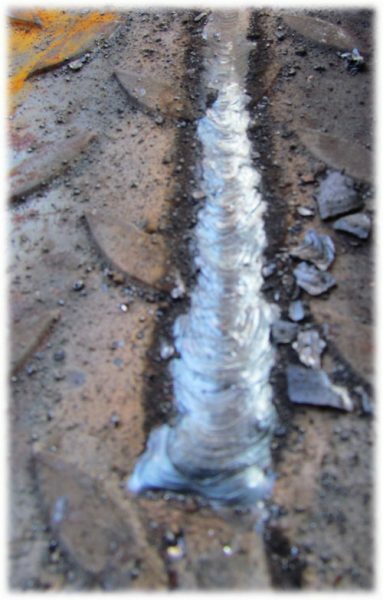 Welding can start again! I’ve just rewelded the support and stitched the plate in position. the rest will be done later this week. 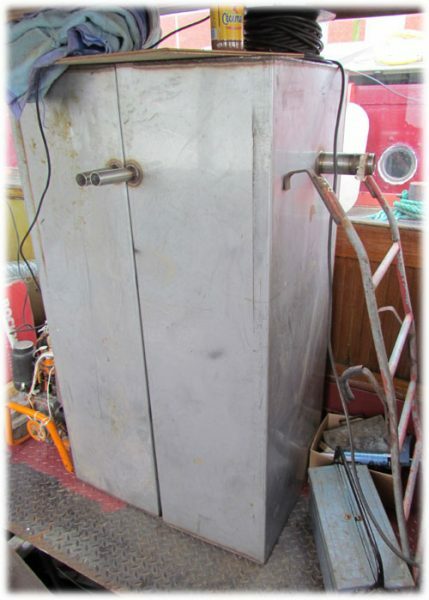 5th May 2012 – Since I need to lower the fuel tanks in the engine room, I started by cleaning the wheelhouse. 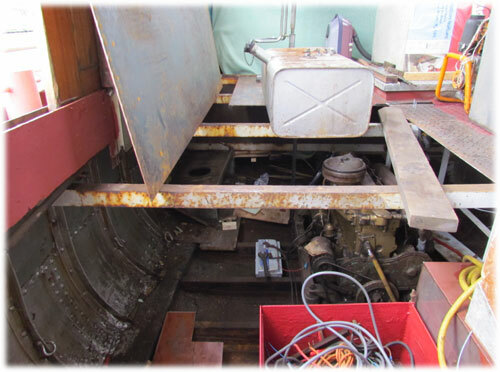 After working a few months on the front area, most of the stuff was stored in the wheelhouse. In the afternoon, I worked in the bathroom. Sometimes, I like to work with wood instead of always welding and cutting sheets of metal. I did a little of t&g to finish the bathroom walls. 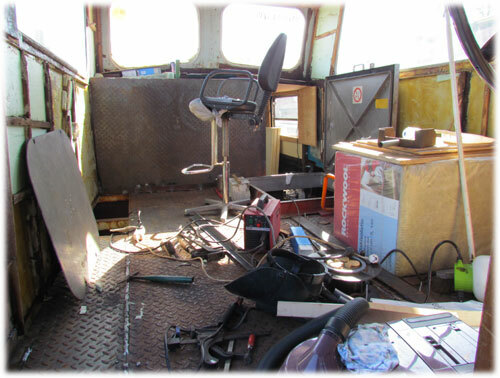 1st May 2012 – I finished one side of the wheelhouse. I have to wait to do the other side since I have to remove one sheet of metal to lower the fuel tanks.